I'm a huge fan of Pattie Dwyer. 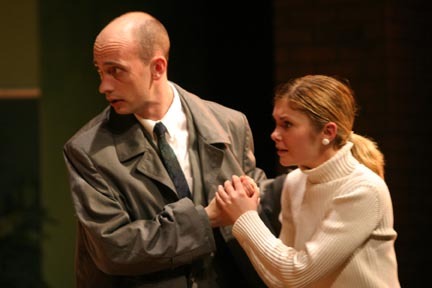 I have been since we performed together in the production of Wait Until Dark about ten years ago. No, that's not me in the picture above. That's John Gaunce, another amazing performer. This is me below....looking rather sinister. Pattie's blind character, brilliantly played I might add, killed me in the end. I got stabbed and died hanging off an open fridge, blood dripping down. It was awesome. She had this amazing energy and spirit that poured out of her in a way that brightened up a room and inspired possibility; she still does. 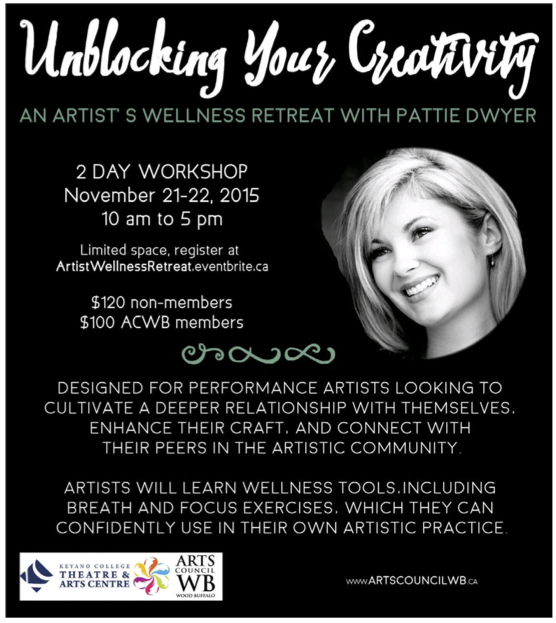 Pattie is facilitating a two-day workshop with Arts Council Wood Buffalo (ACWB) with support from Keyano Theatre and Arts Centre on November 21st and 22nd. 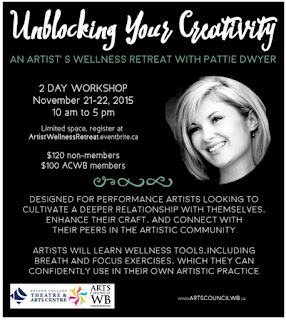 A preview of "Unblocking Your Creativity" will be coming up this weekend in the ACWB YMM Arts Column published in the Fort McMurray Today. However, I asked Pattie some interesting questions that led to some amazingly insightful answers that just don't fit into the number of words they give us for the newspaper column. Here is that interview in full. Q: You live a creative life balanced by a profound passion for people and variety of holistic practices. When did this interesting journey begin for you? Pattie: Living a holistic life is extremely important for all human beings. Existing in harmony with your career, family and passions that excite you is key. I am heavily involved with both holistic practices such as yoga, meditation, Reiki and also theatre, creative writing and teaching. For me, it is important to keep exploring my true nature, balancing the performance aspect of giving externally with the deep internal self exploration of the only instrument I have to work with, my body and mind. My journey began at Keyano VPA Conservatory program, a two-year intensive theatre class. 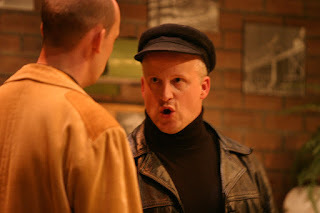 I was a new performance artist and I had never even been on a stage, needless to say I had no idea what I was doing. But I always had a strong interest in the arts. We had amazing instructors who had their own great talents to share with us. As the time passed, I practiced my monologues and gained stage presence, but I was mediocre. Then one day one of the instructors, Julie Funk, who is a great friend and mentor to this day, introduced us to yoga. I had found my opening to a new dimension of creativity. It changed my life and my performance skills. Yoga showed me that being vulnerable is what life is about. Becoming present with the breath. When I began to use these yoga techniques on stage….something awoke. I realized that you must become really real on stage, not to put on the character or a metaphorical mask, in fact I must take off the mask to be seen, that's where the magic lies. In true authentic vulnerability. 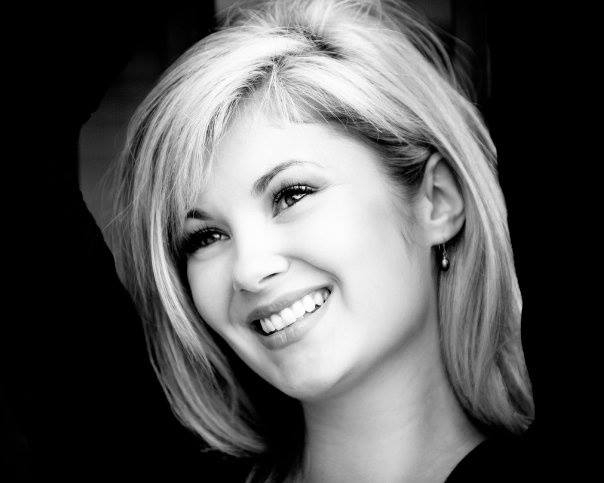 Yoking the practice of yoga, energy work and presence with my stage performances, I have won numerous Best Actress Awards and have been nominated for Best Actress for both television and movies in Western Canada. Without coming to the realization that I must in fact work on myself internally I would have never found my true place on the stage of life. Q: You experienced a period of being creatively blocked. How did you get unblocked? Now I know if I ever become blocked again, I just need to start, start to write or whatever you are avoiding, just begin. The practice takes commitment and discipline. Keep going. Just start. Q: Talk about the need to come to "Unblocking Your Creativity" with an "open mind". Pattie: Having an open mind is important for any venture in your life. An open mind requires courage, the greatest asset. Notice when you close your mind to others, the world around you seems to get small and isolated. Attending this workshop definitely requires having an open mind because you are working on yourself. Not on a character. This workshop is not about creating characters it is about uncreating characters, taking the masks off. 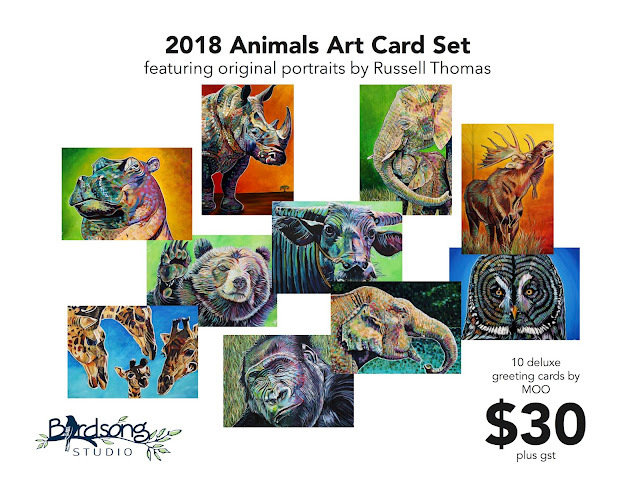 It depends on the artist on how much they want to receive from the workshop, and by having an open mind the possibilities are endless. Q: I get the sense that just going through your own creative journey isn't enough. You seem called to give back in a multitude of ways. Is this true? And if so, where does this generosity come from? Pattie: By sharing my own authentic practice with other artists I also receive an exchange in energy and teachings from the attendees. We are not so different, all people are on this beautiful rollercoaster of life, and if I have found an efficient tool that helps unblock stagnation and relieve some suffering, I feel it is a gift to share with others. This is how I can contribute to this wonderful creative community in Fort McMurray. Q: You're in an elevator and you have 10 floors to give the elevator pitch for this retreat. What would you say? 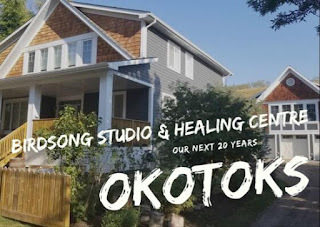 Pattie: Unblocking your Creativity is a two day wellness retreat geared for performance artists looking to create a deeper connection with themselves. During the retreat we will begin to "de-mask" the actor and uncover the true self, so we can create from an authentic place of vulnerability and courage. We will work together as a community supporting one another in this journey. Artists will learn useful tools such as breathing exercises, mindful focus tactics and physical vocabulary to help elevate their presence on stage and in life. This is a workshop about you. Not a character, it is about you. In order to be a great performer we must fine tune the only instrument we have to work with, our body and mind. Only then will something unlock. Convinced yet? I thought so. You can register by clicking here.